By joining a diaspora, a society may begin to change its religious, ethnic, and even racial identifications by rethinking its "pasts." 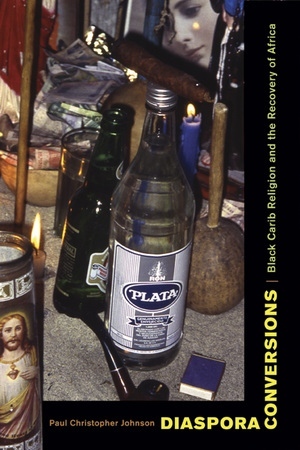 This pioneering multisite ethnography explores how this phenomenon is affecting the remarkable religion of the Garifuna, historically known as the Black Caribs, from the Central American coast of the Caribbean. It is estimated that one-third of the Garifuna have migrated to New York City over the past fifty years. Paul Christopher Johnson compares Garifuna spirit possession rituals performed in Honduran villages with those conducted in New York, and what emerges is a compelling picture of how the Garifuna engage ancestral spirits across multiple diasporic horizons. His study sheds new light on the ways diasporic religions around the world creatively plot itineraries of spatial memory that at once recover and remold their histories. Paul Christopher Johnson is Associate Professor in the Department of History and the Center for Afroamerican and African Studies at the University of Michigan, and author of Secrets, Gossip and Gods: The Transformation of Brazilian Candomblé. 1. What Is Diasporic Religion?